I've had Isabella's Art bookmarked in my favorite etsy sellers for a long time. 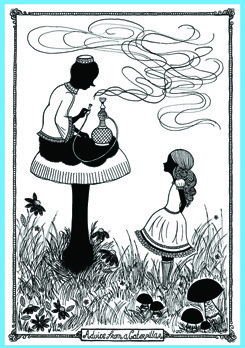 I've recently "rediscovered" her prints while browsing for Alice in Wonderland themed art for my bedroom. 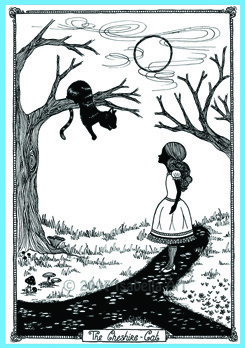 Her black and white illustrations are all very whimsical, portraying fairy tales and folklore. 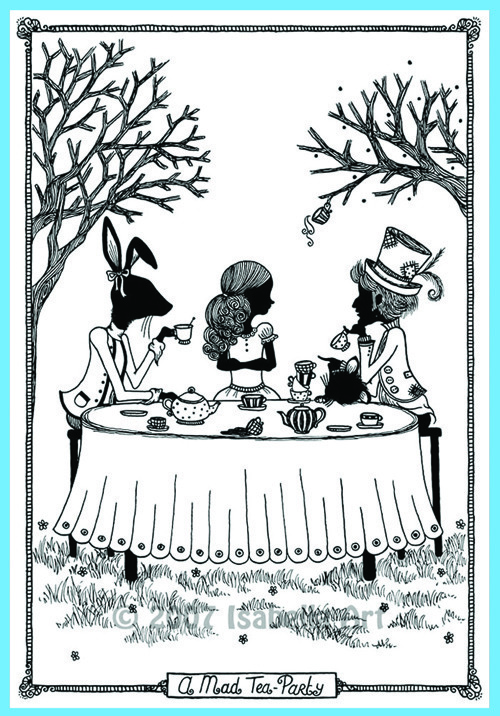 "A Mad Tea-Party" is my favorite of the Alice set. I love the details-- the teacup in the tree, the ribbon on the rabbit's ear, Alice's hair. 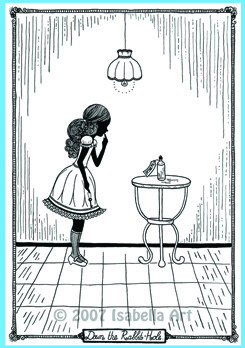 I think she does a great job of capturing the essence of Alice in Wonderland-- all of her prints have a very fun, magical quality about them. She also makes adorable laser-cut shadow puppets. Isabella has a blog where she collects ghost stories, folk tales and lore from her fans and followers. She chooses stories to illustrate and share as blog posts. You can also see more of her portfolio at deviantART.